Everything the light touches is the weekend’s. 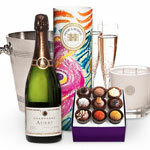 Your Perks: 1) Champagne, Gucci, lingerie, chocolates... everything you need to ace Valentine’s Day. 2) Up to 53% off any number of shirts, blazers and ties from Descendant of Thieves. They specialize in handsome. 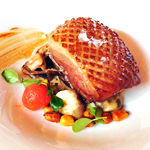 3) A Mardi Gras–inspired feast featuring live music, acrobats, burlesque and probably a couple of beads. A few miles outside Bilbao there’s a restaurant called Azurmendi. It’s one of the best restaurants on earth. You should immediately book a trip there. Or you should immediately make reservations for the chef’s imminent three-day Midtown stand, so you can have oyster and pigeon and whatever else he’s bringing. Totally your choice. A Drake’s Sample Sale. Whoa. 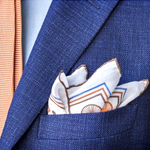 Drake’s, of the stunning ties and pocket squares Drake’s, is doing a sample sale with the Armoury starting today. If your neck could howl in desire, it’d be doing that right now. 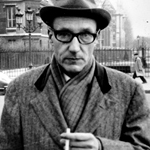 The gloriously weird and perennially intoxicated William S. Burroughs would’ve been 101 today. Naturally, then, you should drink and listen to readings and watch performances celebrating him at the Cornelia Street Café. But please, no William Tell. Last weekend, Blue Smoke had never had brunch. This weekend, it’s like they’d had it all along. 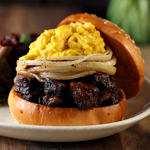 Bananas Foster oatmeal and burnt-ends brisket sandwiches with scrambled eggs included. Just let go of the past. 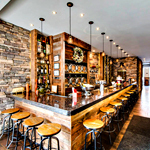 You’ll be drinking brunch caipirinhas and eating bacalhau Saturday. After you learn samba, that is. Botequim’s bossa nova brunch has all that. And if caipirinhas don’t motivate your sense of rhythm, you’re a lost cause. If you’re very far west: Death Ave’s got Greek lamb and house-brewed beer over in far Chelsea. If you like things in threes: The Chester has spawned a Midtown location with a bar, restaurant and rooftop on three consecutive floors. It is a magic number.